Pop quiz: Do your customers care more about 1) the food you serve at your restaurant, or 2) the restaurant customer experience? The answer may surprise you. According to a study in the Journal of Travel & Tourism Marketing, “the environment proved to be a stronger predictor of brand image than did food quality. Elements of the environment (e.g., furnishings, atmosphere, and employees) are likely to distinguish a speciﬁc restaurant from its competitors.” In other words, your venue itself matters more to customers than the food you serve there. A growing number of restaurants are incorporating technology into their venues to build their brand. One popular option is to turn TVs into digital signage solutions that can display far more than just sports and news. With the right software, venues can show a rotating selection of social media feeds, specials, digital menus, news, and much more. This article highlights some of the top trends in restaurant digital signage. Riot Hospitality operates several restaurants and bars in Scottsdale, Arizona and Chicago, Illinois. 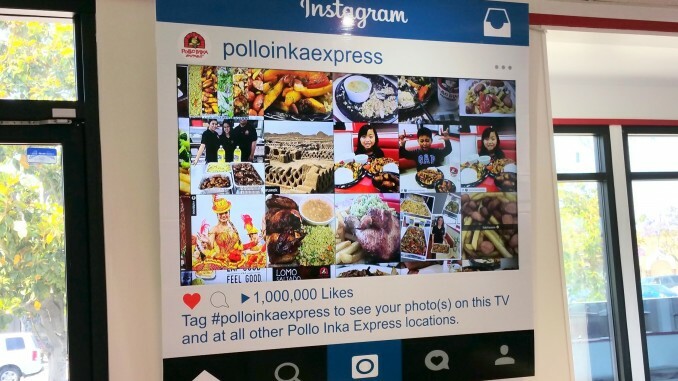 They use dozens of TV screens to feature a scrolling collage with guests’ live posts to their Instagram hashtags. These posts are automatically filtered to remove negative or profane posts. 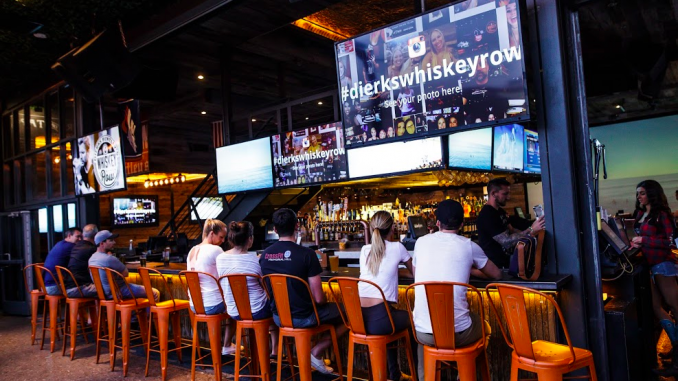 According to Marketing Director Sean Frantz, Riot Hospitality has seen a 200% increase in Instagram interactions by displaying social media feeds in their venues. 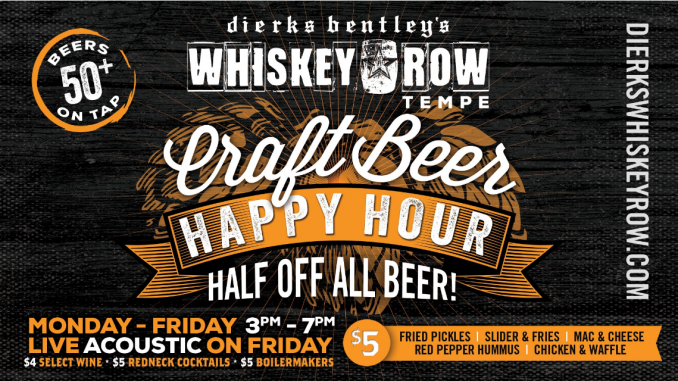 Restaurants can create graphics to promote upcoming events or specials and schedule them to their digital signage software. 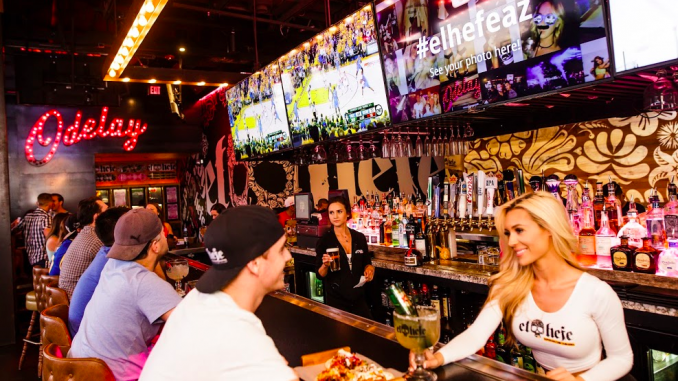 Riot Hospitality’s in-house marketing team creates branded graphics with promotions and upcoming events that they upload to their digital signage displays. Buona Restaurants & Catering has 17 restaurant locations in the Chicagoland area that serve authentic Italian Beef sandwiches. 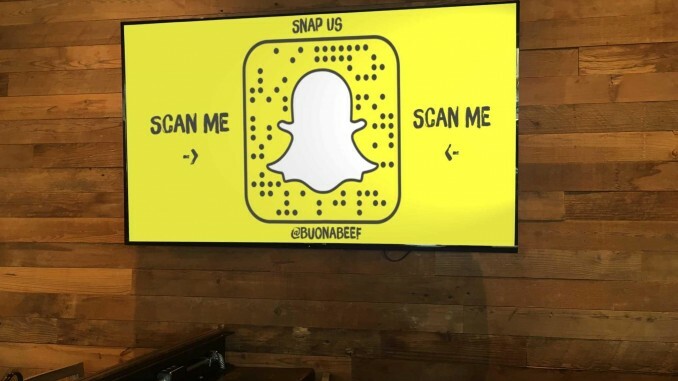 Buona displays their Snapchat Snapcode on Enplug screens in their two newest restaurant locations in Harwood Heights and Beverly, Illinois. Customers can quickly scan this code to easily start following the brand on Snapchat @BuonaBeef. This strategy has generated more than a thousand Snapchat followers for the restaurant chain, according to Aaron Ozee, Social Media Coordinator for The Buona Companies. Local organizations and groups love holding fundraisers or dinners at the innovative burger concept Dugg Burger because the atmosphere is so welcoming. Jeff Braunstein, a Managing Partner at Dugg Burger, creates high-quality graphics to welcome local groups to the restaurant. His team uploads and schedules these graphics to play on their digital signage while the group is at the restaurant. Click here to get a free demo of the power of Enplug.